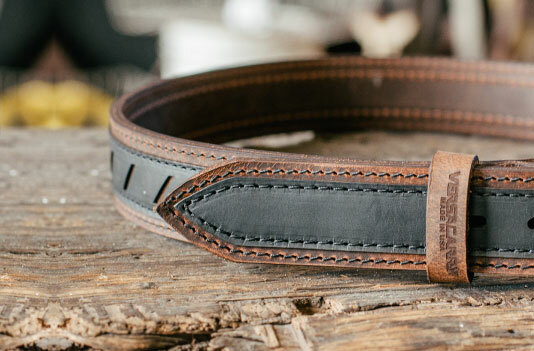 SELECT YOUR SIZE: Required Choose Options 30" 32" 34" 36" 38" 40" 42" 44"
A solid, sturdy belt is the foundation for carrying a gun. 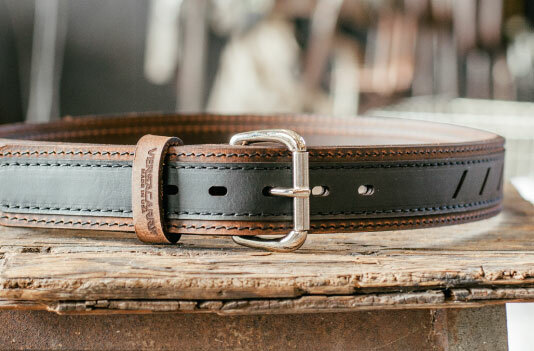 To ensure that you will have the stable platform that you need we have incorporated three layers of Water Buffalo leather to do just that. Not only does it increase its aesthetical appeal; Double Stitching also increases the strength and stability of the product. Matched with Nylon Thread, you are sure to get a long life out of this product. 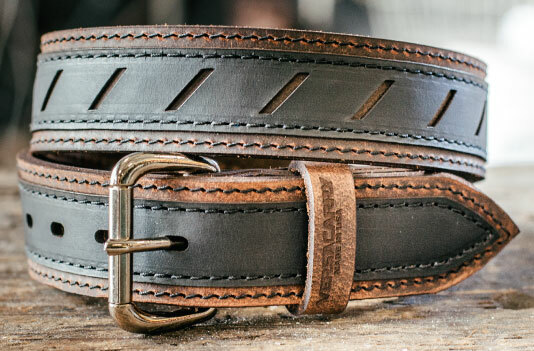 Engineered to make using your belt easier, English Point Tips also add a beautiful, dressy design and feel. 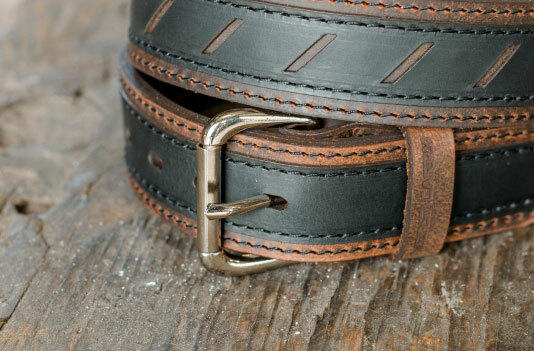 (5) adjustment holes have been incorporated into this belt. Each hole is (1) inch apart from the next, allowing the user to make easy adjustments to their desired fit. 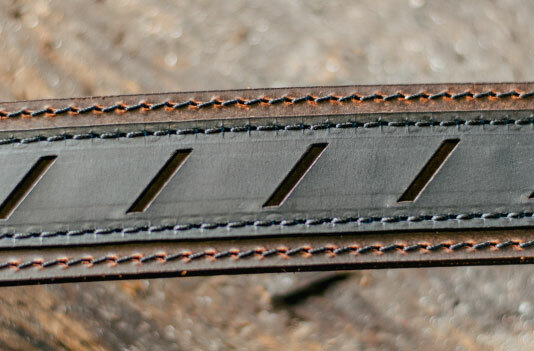 From the end of the belt (buckle side) to the center hole marks the size of the belt. That means that the user has (2) inches of adjustment both in and out.